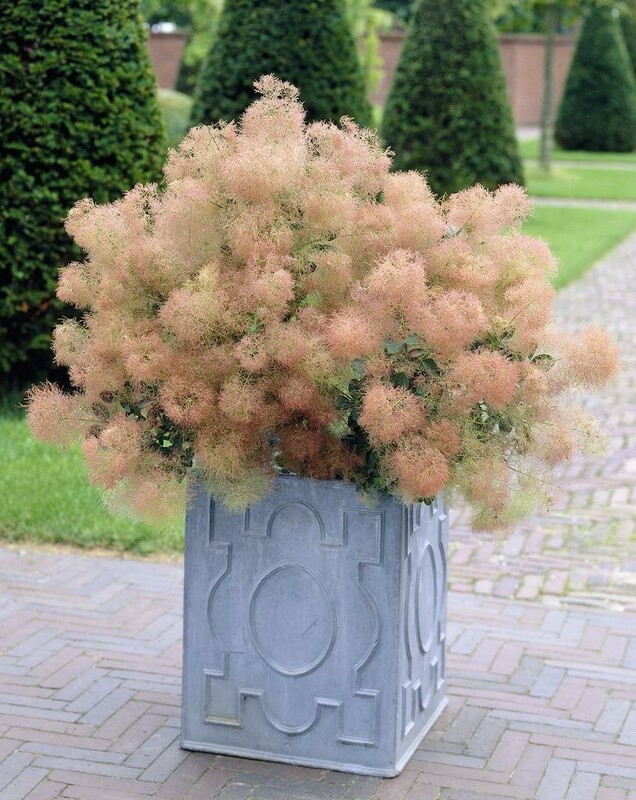 Cotinus Young Lady is an exciting new smoke bush from the Netherlands. 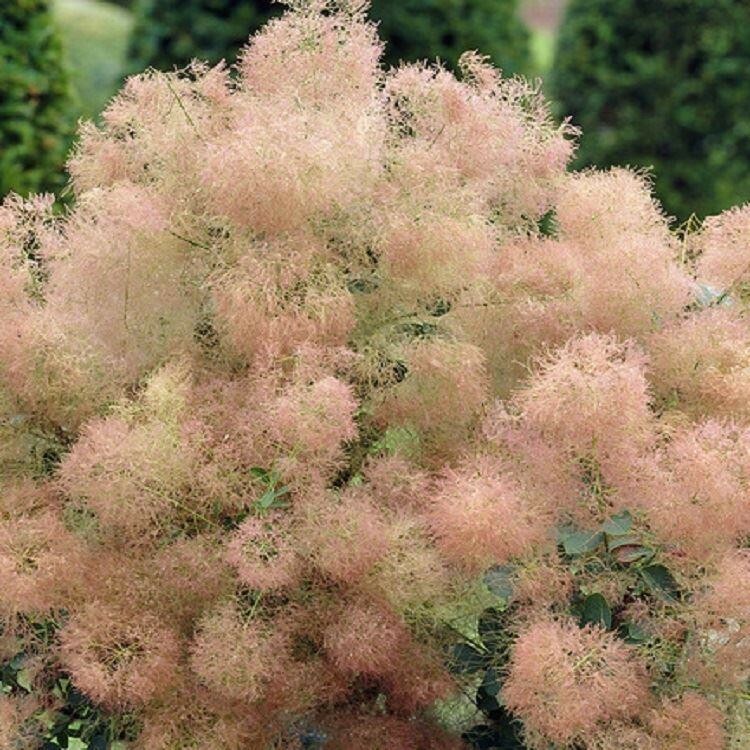 This unusual shrub is unlike any other smoke bush in that it blooms as a young plant and it blooms like crazy. In a container it looks like a poodle in a pot with its frothy blooms almost covering the entire plant. Nearly every shoot forms a flower from early summer until frost. In autumn the leaf colour turns a superb blend of yellow, orange and red. Not to be missed. Supplied as 30-40cm tall bushy plants in approx 2-3 litre containers.